National Health Mission (NRHM), Punjab has given a notification of 06 Female Medical Officer Jobs on the contract basis. The interested candidates can attend walk-in-interview for the NHM Punjab Recruitment 2018 on 14 June 2018. 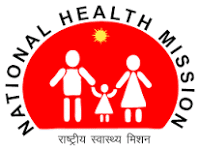 National Health Mission Punjab Recruitment 2018-19 notification is out. As per the PBNRHM Notification, there are 06 Female Medical Officer Vacancies. The educational qualification is MBBS degree. The maximum age limit is 45 years. If you are looking for Female Medical Officer Jobs in NRHM Punjab then this article is going to be very helpful for you. MBBS preferably with 06 months house job in Obstetrics & Gynaecology and trained in MTP from recognized MTP training centers. The candidate must be registered with Punjab Medical Council/Indian Medical Council. Note: Knowledge of Punjabi up to matriculation level is necessary. The maximum age limit is 45 years. The relaxation in age is as per the government rules. Rs. 40000 to 50000/- per month on the basis of categorization of areas in the districts. You can attend walk-in-interview on 14.06.2018 at 10.00 AM in the Office of Mission Director, NHM Punjab, 5th Floor, Prayas Building, Sector-38 B, Chandigarh. Note: Kindly bring the original and photocopies of the testimonials related to qualification, date of birth, experience, pass in Punjabi in matriculation, address proof, reservation certificate (if any) and photo identity. You have to bring 02 latest passport size photographs at the time of interview. Date of Interview: 14 June 2018 at 10.00 AM. Office of Mission Director, NHM Punjab, 5th Floor, Prayas Building, Sector-38 B, Chandigarh. Starting Date: 01 June 2018. Last Date: 23 June 2018. Last date of Deposit Fee by Bank Challan: 26 June 2018. Date of Written Test: Not Available yet.